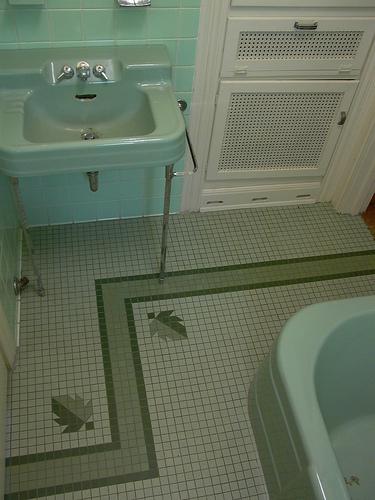 I’m always on the lookout for examples of how to use basic 4″ square tiles in ways to add flair to a retro renovation bathroom. 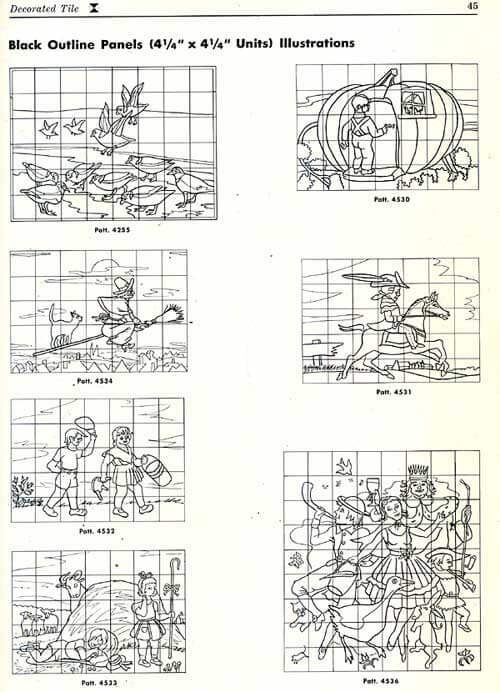 Humblelabor, a flickr friend, has a wonderful little collection of time images going – with a few featured here today. In this simple design, glossy 4x4s are combined to wonderful effect. But, be careful if you are cutting them in half to create a triangle, to keep the ‘sharp’ cut side close to the edge of the room. 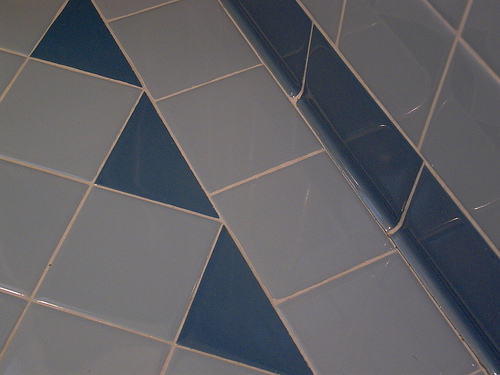 Once cut, this edge will not have the same smooth finish as a normal molded tile. It will be scratchy or worse on your bare feet. Use a really good tile cutter to get the edge as smooth as you can. 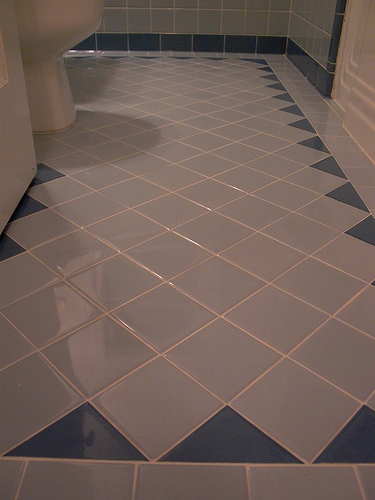 This floor uses 1×1″ mosaic tiles – again, making great use of triangular-shaped pieces to create a snazzy design.